How do I delete entity object in JPA? The following code example show you how to delete or remove entity object from database using JPA. The first class that we are going to create is ArtistDaoImpl which implements ArtistDao. This DAO class handles the delete process either by the entity Id or by the entity object itself. We define the delete process in deleteById(Long id) and delete(Artist artist) methods. * Find Artist based on the entity Id. * @param artistId the artist Id. * @throws EntityNotFoundException when no artist is found. throw new EntityNotFoundException("Can't find Artist for ID "
* @param artist an Artist to be updated. * Delete artist by their Id. * @param id the artist Id. * @param artist the object to be deleted. After defining the delete methods in the ArtistDao class we create a simple program to demonstrate both of them. In this program we start by create the EntityManagerFactory object from the defined persistence unit in the persistence.xml file. Then we create the EntityManager object and we pass it to our ArtistDaoImpl object. And then we call the delete methods to remove entity from the database. To show you the result of the delete process we print out the artist data before and after the delete method is called. // Remove artist with Id = 1. // Remove artist with Id = 2. Here is the result of our code snippet. It shows the number of records before and after the delete process. If you want to get the primary key of any JPA entity object you can use PersistenceUnitUtil.getIdentifier() method. This method take a single parameter which is the entity object whose identifier to be read. The PersistenceUnitUtil instance can be accessed from the EntityManagerFactory object. If the entity object contains an identifier the getIdentifier() method will return the identifier as a java.lang.Object. If the entity object does not have an identifier ye it will return null. // Get object identifier of an exists entity. // Get object identifier of a newly inserted entity. How do I update entity object using JPA? In this example you will learn how to update an entity object in JPA. We use the EntityManager.merge() method to update an entity. This method takes the entity to be saved as the parameter and return the merged entity back as the result. You can see a simple example to the code snippet below. Here is the main program for running the ArtistDao class to update the artist data in the database. The ArtistDao interface and its implementation ArtistDaoImpl class definition. In this example you will learn how to find an entity object by its ID using JPA. To find entity by ID we use the EntityManager.find() method and pass the entity class the the entity ID as the parameters. In the code snippet below the EntityManager required by the ArtistDaoImpl will be passed from the main program when the DAO is instantiated. The process of finding the Artist entity is defined in the findById() method in the DAO class. You must pass the ID of the entity to this method. The findById() method call the EntityManager.find() method to find the entity. If no entity is found, where the artist == null a javax.persistence.EntityNotFoundException will be thrown. To run the DAO class we create a main program in the code snippet below. The steps is create the EntityManagerFactory configured by your persistence.xml file. Create the EntityManager using the factory object. Create the DAO and pass the EntityManager to it. And finally call the findById() method of the DAO class. // exists in the database. In this code snippet you will learn how to create JPA EntityManagerFactory. This factory enable you to create the EntityManager which will be used to execute the JPA command to manipulate the database tables. To create the EntityManagerFactory you need to create to persistence.xml file first. The file is where you configure the JPA. This file must be placed inside the META-INF directory in your program working directory. The persistence unit defined in the persistence.xml file contains a set of entities object. We also define some properties related to the database connections including the JDBC driver class, JDBC url, the username and password for opening the connection to database. After defining the persistence.xml file we’ll create a simple program to create the EntityManagerFactory. To create the factory we can use the javax.persistence.Persistence class createEntityManagerFactory() method and pass the persistence unit name as the parameter. In this example the persistence unit name is music as can be seen in the persistence.xml file. After we have the factory object created we can then create an EntityManager by calling the createEntityManager() of the factory object. Let’s see the code snippet below. // Do something with the entity manager. The Artist entity class definition. How do I create entity object in JPA? 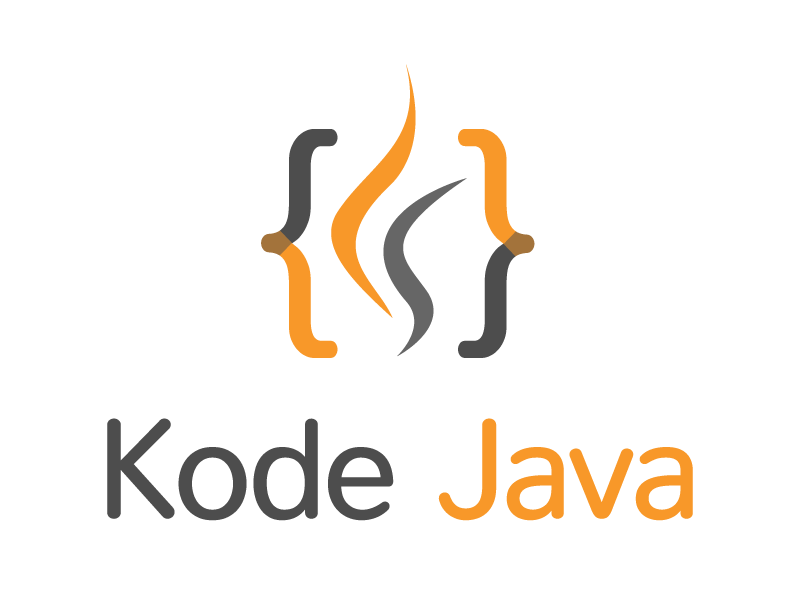 This example show you a simple example of an entity object used for mapping database table into java object. The entity is a Plain Old Java Object (POJO). The JPA specification doesn’t mandate the class to extends or implements other class or interfaces. A class which going to be persisted in a database must be annotated with the javax.persistence.Entity annotation (@Entity). As you can see in the Record class below. By default the mapped table name equals to the class name. But if your table name is different to your class name you can use the @Table annotation. Set the table name using the name attribute of this annotation. This annotation is also located in the javax.persistence package. In JPA metadata can be added either in the class fields or using using the getters or setters methods. Choose one option because you cannot mix both of them in the same entity object. Here we will annotate the getters of the class. To define the primary key of the entity we use the @Id annotation. The @GeneratedValue annotation is used to define how the primary key of the entity should be generated. For example in this example the strategy is defined as GenerationType.IDENTITY. In MySQL database this is implemented as an auto-increment column. The fields of the entity by default will be persisted into corresponding fields in the database table. If you don’t want the entity fields to be persisted you must add the @Transient annotation to it. If your entity field name is different with table field you can use the @Column annotation to define the column name and other attributes of the column such as the length, the uniqueness of the field and the not-null attribute. To define relationship between entity object you can use annotation such as @OneToOne, @OneToMany, @ManyToOne and @ManyToMany. This annotation represent the relationship between database tables in the Java objects. This is the complete class for the Record entity. This will hold information about music record. This entity have relationship with other entity such the Artist and Label entity. What is JPA (Java Persistence API)? JPA is a Java specification for object-relational mapping (ORM) in Java. JPA provide a way to map Java objects to database tables. This allows programmers to manipulate database information directly using Java objects instead of executing database SQL queries. Developer can choose one of many available JPA specification implementation libraries such as Hibernate, Apache OpenJPA and EclipseLink. EclipseLink is the reference implementation of the JPA specification. In the examples that we are going to provide you in this website, Hibernate library will be used as the persistence provider. In JPA we model our database tables into a Java objects. This Java objects also called as entity objects. The entity represent a table in database. A single row in a database table will be represented in an instance of the entity. This entity objects hold information about the mapping between objects and database tables. This information or metadata can be defined using an annotation or an XML mapping files. Here is a simple example of entity object and its metadata information. In the sample entity above we use annotation such as @Entity, @Table, @Id, @GeneratedValue and @Column. These are some annotations that you can use for object mapping. Besides manipulating database tables using objects, JPA also provide a SQL-like queries that can be use to create a static or dynamic query statement.